A term literately translates to ‘overwork death’ in English. Karōshi is related to the current social problem in Japan where physical and phycological effects from overworking takes a toll on the worker leading to death. A term for business practices that exploits employees by including forced overwork, under payment, and harassments. Companies that practice black labor is also referred to as ‘black companies’. I lost my cousin due to karōshi on June 22, 2017. Although there were some conflicts, I’ve received advices from so many people through my post about my cousin’s death. I appreciate this support from the bottom of my heart. #BUZZGO Administrator Through my website, I received messages from people who are suffering due to their job. 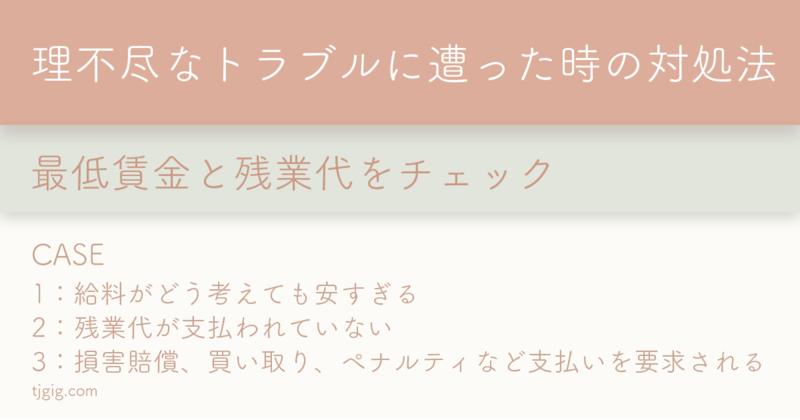 My website is visited through web searches of keywords like “job difficult want to die”. In my case, I’ve had the opportunity to be introduced to a lawyer by a member of Karōshi Family Organization thanks to the internet. My heart is less fragile with the support I have including those who reaches out to me with kind words. Obviously, the internet is created by people. I realized, from these situations, that caring people do exist, and an internet is a place of warmth. So, I want this to be a place where I can leave behind with the things I can do now. The ‘GO’ is not the word for expressing movement. It’s the Japanese word ‘GO’, which translates to ‘After’. Together, it means ‘after the buzz’. 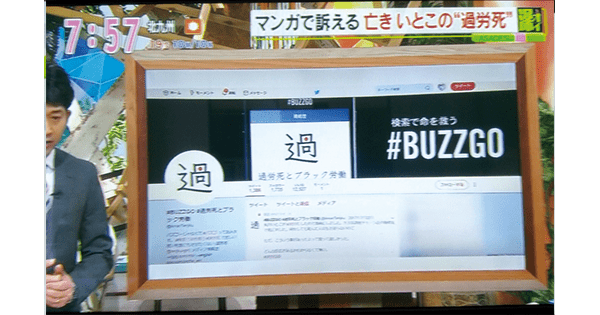 When something goes viral on the internet, the term ‘buzz’ is used. Like a temporary burst from fireworks, I think that people quickly forget. This website is a place to keep the story thereafter. 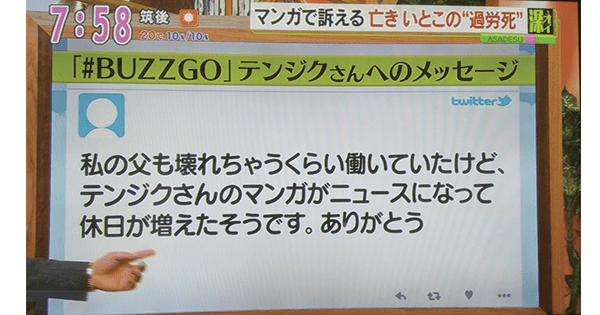 The purpose for BUZZGO is to not further increase the number of people suffering due to their job. For those who want to get out of their unbearable work environment. And for myself. I will administer the website within my beliefs. I believe that both you and I wish for a better tomorrow. Putting energy into things like anger, hate, frustration, and sadness suffocates me. I enjoy the fun things in life. When in a dark place in your heart, I feel stuck and not able to move forward even though there are incredible amount of joy in the world. Although there is a saying, ‘Time will heal’, to me, it’s still intolerable. Is it possible to fast-forward this so-called ‘time’? I often feel helpless. And I don’t like to force myself to only gather the good things. I just wish to head to the direction where I will be able to use my energy for the things I enjoy. I want to turn my negative emotions into something positive. My feeling towards my own thoughts is the driving force behind #BUZZGO. Bitte teilen. Der Cousin meines Freundes tot durch Überarbeitung. Sie, @ikinariTenjiku hat alles in ihrem Comic dargestellt. Danke Tenjiku für deinen Mut, deine Geschichte zu erzählen. 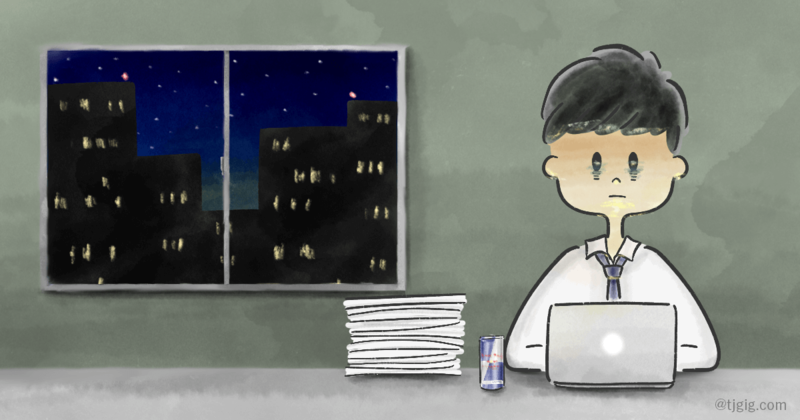 I translated a comic “My cousin passed away of “Karoshi”(overwork). “ by @ikinariTenjiku, in German. 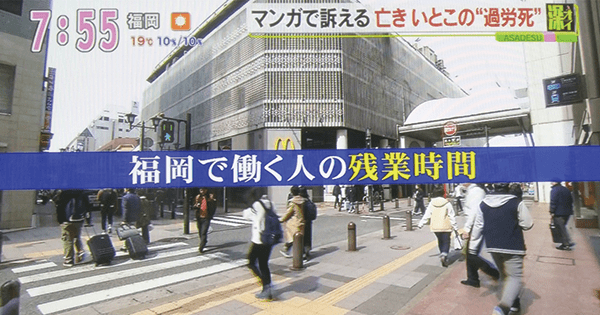 It has been shared all over Japan and I want more people outside of Japan to know what “Karoshi” is. 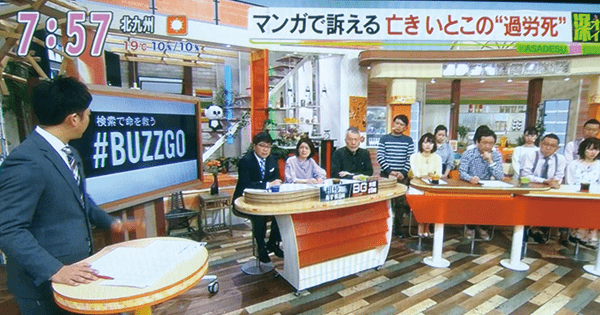 “It’s hell.” Those are the words left by the manager of a chain-operated izakaya bar who passed away due to karōshi. The message was found within his smartphone describing the distress of harsh labor situation he was enduring. Data indicating his long presence at his work place was also recorded. 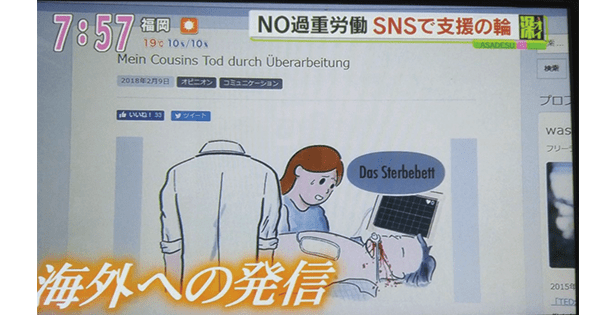 Based off from these unpleasant indications, the cousin of the late manager wrote a manga which gained some attention online. This lead to the family members’ submission for worker injury claim. 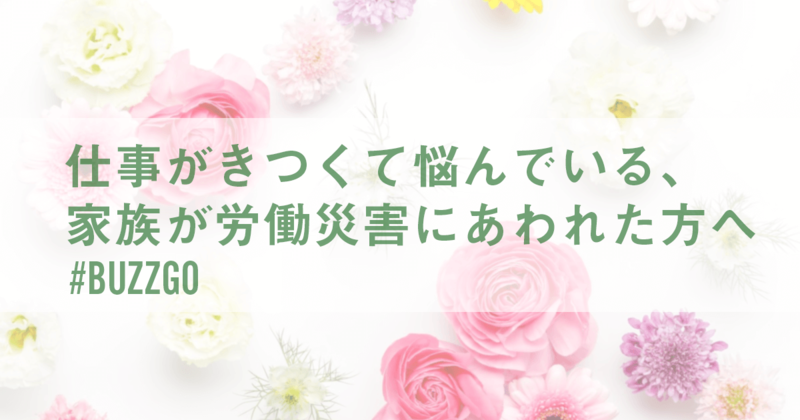 In the manga, the story starts off with the death of a man, age 53 at the time, who was a manager at a chain-operated izakaya bar in Nishi-ku, Fukuoka city. The manager had sent this message to his friend through the messaging app, LINE, before his death. Tenjiku, who is an online media creator in Chūō-ku, Fukuoka city, who is also the cousin of the late manager, is the writer of the manga. According to Tenjiku, her cousin died from lethal arrhythmia while setting up the bar for opening that day. 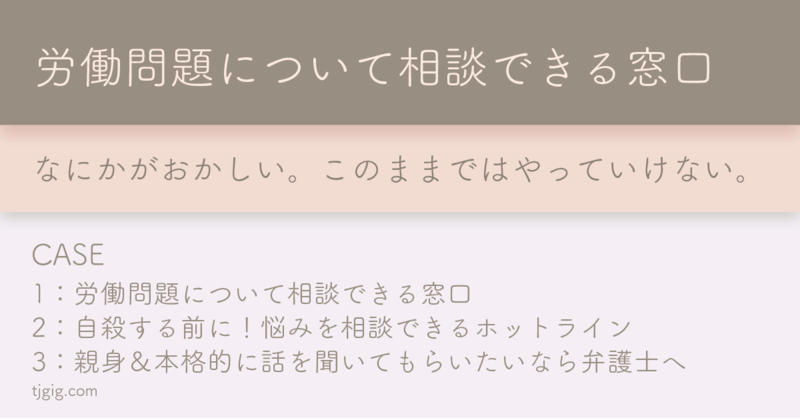 A month after his death, Tenjiku heard a news about a person who had committed suicide due to overwork. Learning about this news made her anger surge. She thought karōshi had to be confronted within the whole society. Tenjiku immersed her thoughts into writing a manga. Even with no experience of writing one, she thought this will be a suitable way to get her message across. 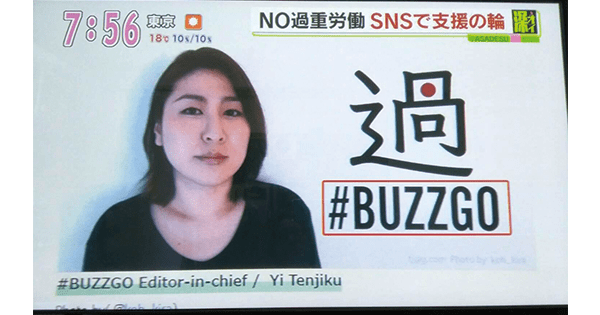 In July of last year, Tenjiku received over 120,000 retweets when posting the manga on her blog, “#BUZZGO” and on her Twitter page. Her readers have sent messages stating their own experiences. Since then, the manga was translated into German and was published by overseas media. 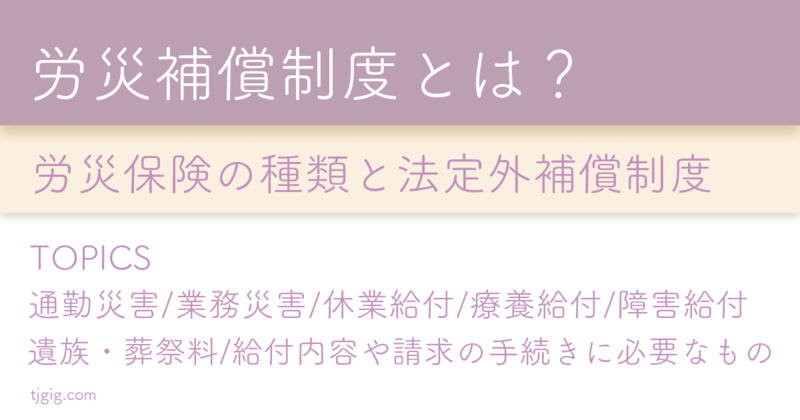 A member of Zenkoku Karōshi Wo Kangaeru Kazoku No Kai (National Association of Family Reflecting on Karōshi) learned about Tenjiku’s manga, and introduced her to an attorney, Tadashi Matsumaru, who is also a representing secretary of Karōshi Bengo-dan Zenkoku Renraku Kaigi (Karōshi Lawyers Council National Liaison). In December of last year, the family members of the late manager submitted a claim for worker injury to the office of Labor Standards Inspection. The family members argue that the late manager was not provided with any taxi expenses and had to wait for the very first train available to go home. Also, they claim that proper break during the work hours were not met and no rooms within the work place in which one can sleep were accessible. Even after punching out the time card, the manager had continued working on administrative tasks such as preparing the sales reports. Claiming for overwork, families of the late manager submitted to the Labor Inspections office the GPS location identification data left on his smartphone. 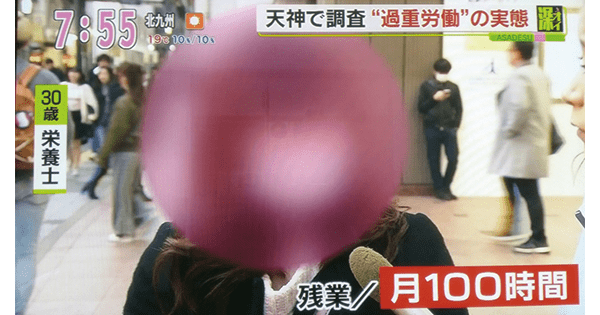 Without counting the break time and including the hours he had stayed in his work place, the total overtime hours the manager had accumulated exceeds the karōshi line of 100 hours per month. Every month for the last 3 months before his death, he had exceeded this karōshi limit. In one of the 3 months, the total overtime reached 148 hours. 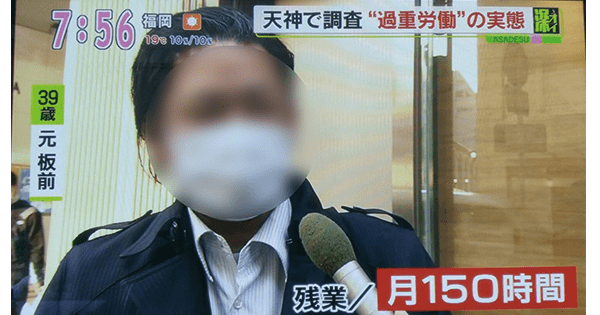 Attorney Matsumaru explains that the fact the manager was doing work until the time of first available train home, and even if he had finished work, how the commute restraint will be evaluated is the point at issue. He indicates that if location identification data is used as the base of the support in the argument of long labor hours, and if this means of support is considered and used as a self-defense procedure, it will be a rare case. According to the Ministry of Health, Labor, and Welfare, the time restraints after work hours cannot be included as hours worked, however, worker injury causing brain and heart complications issue can be evaluated on how much liability does the time restraint had contributed to the health complications. 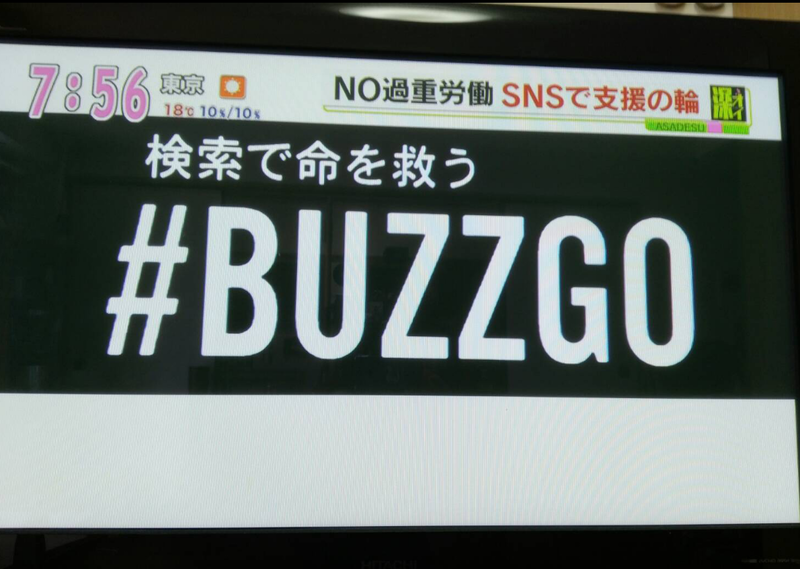 © 2019 #BUZZGO #過労死とブラック労働　All rights reserved.